I chose this adjective since I feel like it describes me. 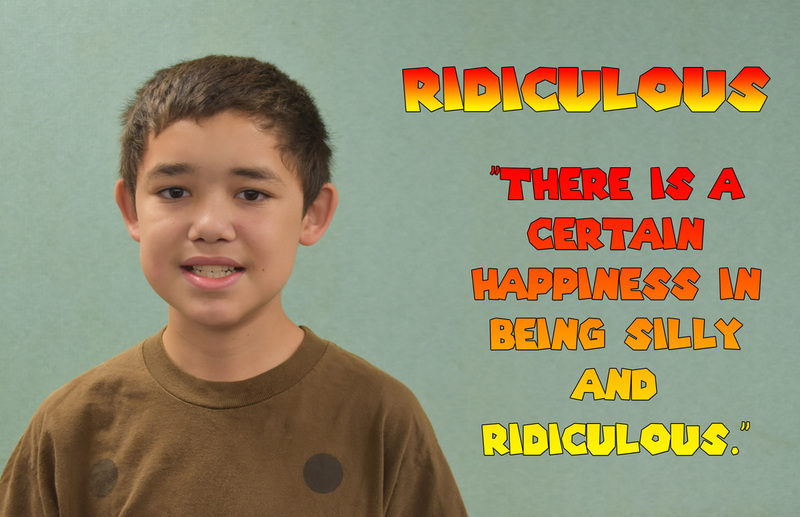 After I chose the adjective, I went online to find a quote that I liked and thought that it fit. I went into Photoshop and used this font since it's easy to read. I made sure the color made the words pop out since it created contrast between the green background and the text, I also made sure that the quote had some space around it and made a margin. I made sure that there wasn't so much space that the picture looked disproportional. Bork bork. I already knew how to put images from internet, but I just used Doggo as a refresher on how to crop the white backround from pictures. I used this font because I thought it fit with the Doggo picture I put. 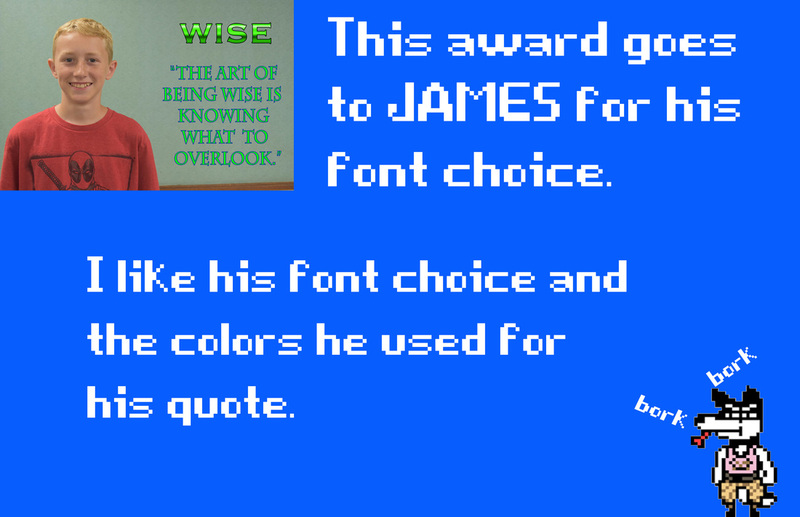 I really liked Jame's font choice and the FX he used to make it interesting. 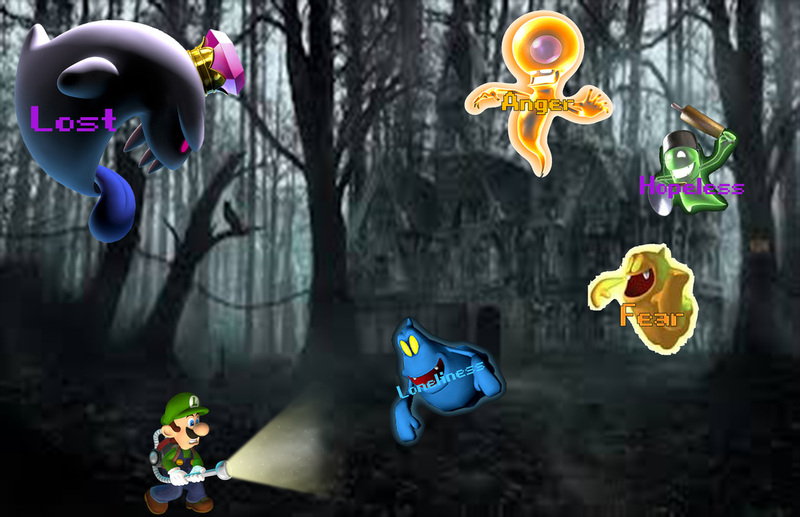 In my image, this is based of Luigi's mansion, Luigi is scared and his Poltergust is the light against all the dark and negative feelings or ghosts. I got inspration by mixing a video game photoshop and my problems project into one.